RETRO KIMMER'S BLOG: WHY IS CASEY KASEM BEING HIDDEN FROM HIS CHILDEN AND FRIENDS?? 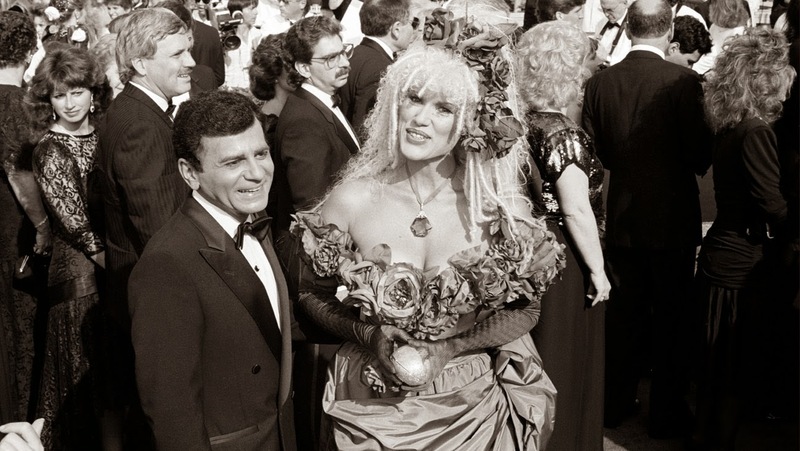 It would appear from accounts we have been following, that wife of 34 years Jean Kasem, couldn't let go of her husband no matter what type of torture his health was causing him. The kids knew that Casey was in hideous condition and needed mercy intervention. So most likely the answer was that Jean took Casey to Washington state to escape having to remove him from life support. Sadly, he was suffering and as much as we sympathize with Jean's loss, we are relieved that the legendary DJ will be free from this horrible pain. Kasem was married to Linda Myers from 1972 to 1979 and they have three children together Kerri Kasem Mike Kasem and Julie Kasem.Liberty Irene Kasem is his daughter with current wife Jean. In October 2013, Kerri Kasem said her father was suffering from Parkinson's disease. Due to his condition, Kasem is no longer able to speak. 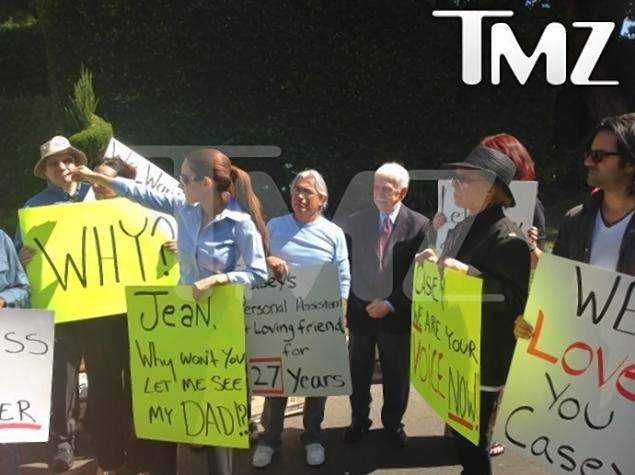 On October 1, 2013 Casey Kasem's three adult children and his brother protested in front of Kasem's home, saying Jean Kasem had been preventing contact with Kasem for three months. On October 7, 2013, Julie Kasem and her husband, Dr. Jamil Aboulhosn, filed a conservatorship petition to place Casey Kasem under their care. On May 12, 2014, Kerri Kasem was granted conservatorship over Jean Kasem's objection. The court also ordered an investigation into Casey Kasem's whereabouts after Jean Kasem's attorney said that Kasem had been removed from the country and would not reveal his location to the court. 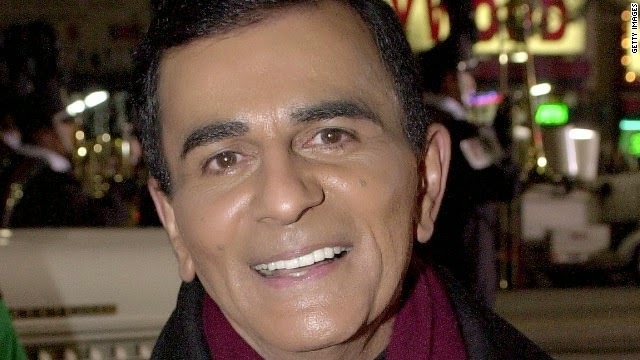 LOS ANGELES — A judge on Monday ordered an investigation into the whereabouts of Casey Kasem after an attorney for the ailing radio personality’s wife said the former “Top 40″ host had been removed from the country. Los Angeles Superior Court Judge Daniel S. Murphy ordered a court investigator and adult protective services to find out where Kasem is being treated and report back to the court. Kasem, 82, suffers from advanced Parkinson’s disease, can no longer speak and has been in various medical facilities chosen by his wife, Jean Kasem. Daughter Kerri Kasem had sought a temporary conservator-ship and was appointed her father's temporary caretaker Monday. Her attorney, Troy Martin, said the family believes the entertainer has been taken to an Indian reservation in Washington state.